According to latest Radio Free Asia (RFA) report, North Korea is experimenting with private real estate ownership in the city of Rason, part of a special economic zone (SEZ) located in the country’s northeastern corner near China and Russia. The Rason SEZ is administered by the Committee of External Economic Cooperation (CEEC). Foreign companies must be invited by the CPEEC to participate in the special zone. 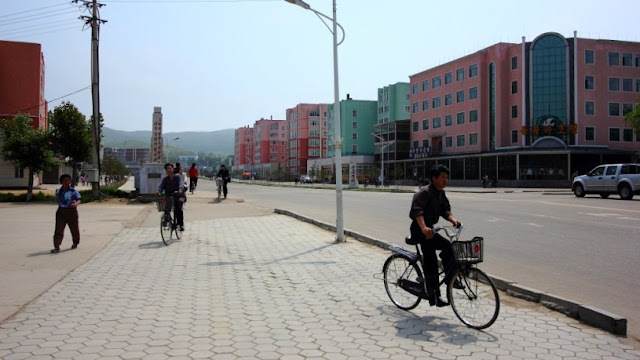 In 2004, Rason was reabsorbed back into the North Hamgyong province, and since 2010 Rason is again a "Directly Governed City". As per the constitution, the North Korean regime forbids its citizens to privately own land-based property. Technically, the state owns it, as well as any products created from the land's use (as stated in the constitution). The government assigns individuals where to live and issues the right to a home for a certain period, instead of granting private ownership. According to a report by United Press International (UPI), an increasing number of individuals are purchasing and selling the rights for property use to others, a sign of expanding private ownership, according to Joung Eun-lee, research fellow of the Korea Institute for National Unification. The rights to living spaces were being bought and sold as a loophole around this technicality. RFA sources report that the government is trying out a de jure private ownership system in Rason. It will price state-owned houses and sell them to their current residents. The benefit of ownership will not be restricted only to those with the cash flow to purchase a home outright. The government wants to make ownership more widely available. Besides that, legitimate home ownership may be cheaper than the de facto system in place. Under the new plan, there will still be limits on ownership. Buyers will not be able to purchase more than one home. Regardless of the restrictions, Rason residents are quite enthusiastic about the idea of owning a home. If the experiment proves successful, the source expects a real estate craze to sweep the entire country. This article is a derivative of an original work published at Radio Free Asia (RFA). Copyright © 1998-2019, RFA. Used with the permission of Radio Free Asia, 2025 M St. NW, Suite 300, Washington DC 20036.